When you’re struggling with any type of pest problem or want to keep pests out of your home, you need to find a local pest control company that can come to your home quickly, and will be accountable for the work that they do. That’s what you receive in Camden County, New Jersey when you work with Green Pest Solutions. You’ll quickly find that you’re working with a local pest control company that understands the county, and what it takes to eliminate pests wisely and quickly. Why Camden County Pest Control from Green Pest? Camden County has over half a million people, and has long been one of the most historic counties in New Jersey. You want to work with a pest control company that understands that history, knows the area, and cares about making sure that you and your neighbors are pest free. Cherry Hill and all others. We offer solutions for homeowners with bed bugs, stinging insects, and termites as well, and we’d love an opportunity to talk to you about what we can do. Pests are always a significant problem. But with Green Pest Solutions, they don’t have to be. Contact us today at 877-636-9469, and let us know the problem so that we can try to solve it. 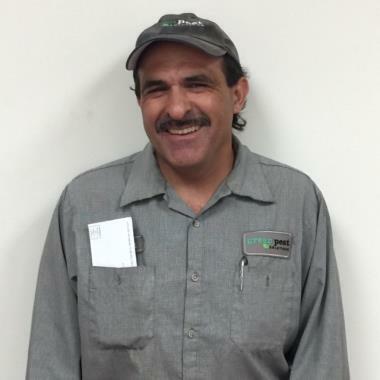 We’re so happy we started service with Green Pest Solutions, and we feel so lucky Marty is our technician. He is the nicest guy and does an excellent job. He even managed to get rid of our annual winter mouse problem! We can’t say enough good things about him.